Oh my Kim… this looks like you just stepped back in time to long ago; how awesome. Also, how much was left for you guys? Is it fully furnished/partly or? I have always wanted to live in a cabin or to at least have one in the mountains someplace. Enjoy! 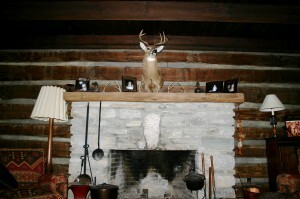 The cabin came fully furnished. And furnished beautifully I might add! We actually had to ask for some stuff to be taken out so we could use our own. And of course, we made room for the piano! I love to listen to Regi play when I sit outside. I’m so surprised to hear how many people say they’d love to live in a cabin…who knew! You should come visit! !